Assemble the Gang! The Uniqlo x Marvel 2018 Collection is now available in the PH! It wasn’t that long ago since we got the Shonen Jump collection and raided the Uniqlo stores for our favorite shirts. However, it wasn’t enough! 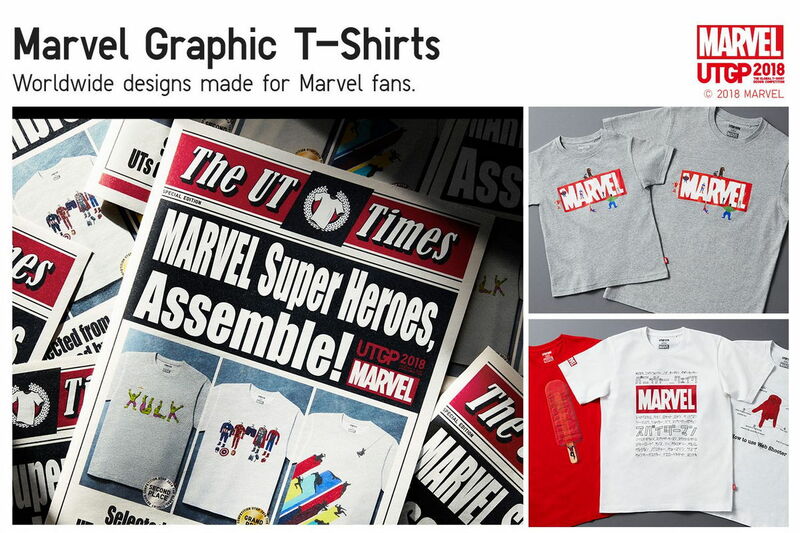 We heard about the UTGP 2018 Marvel Collection and hoped that Uniqlo Philippines would bring it here in the Philippines. Well, our prayers have been answered now that the Marvel Collection is FINALLY AVAILABLE HERE! Perfect timing too because these babies will make for the perfect PRE or POST Infinity War Viewing Purchase! All 17 designs (including the one designed by “avesyna”) have assembled in stores here in the Philippines. The bad news though is that some designs are only available in kids size which got everyone moping. You can check out the rest of the designs here. Available now in all Uniqlo stores nationwide. Prices go from 390 pesos for kids and 590 pesos for adults. So yeah, assemble the whole gang and enjoy this big superhero mash-up that is hitting the cinemas! IT’S TIME FOR THE AVENGERS TO ASSEMBLE! Previous articleHere’s Our Top 5 Marvel-ous Merch to Celebrate Avengers: Infinity War Day! Next articleSay “GG” to your Wallets! The Uniqlo x Blizzard Collection has just been announced!